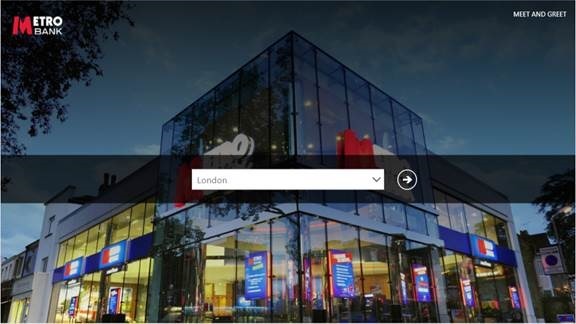 Metro Bank opened its doors in July 2010 as the first new high street bank to open in London in more than 100 years. Since then they’ve grown to over 50 brances (aka "stores") serving over a million accounts. 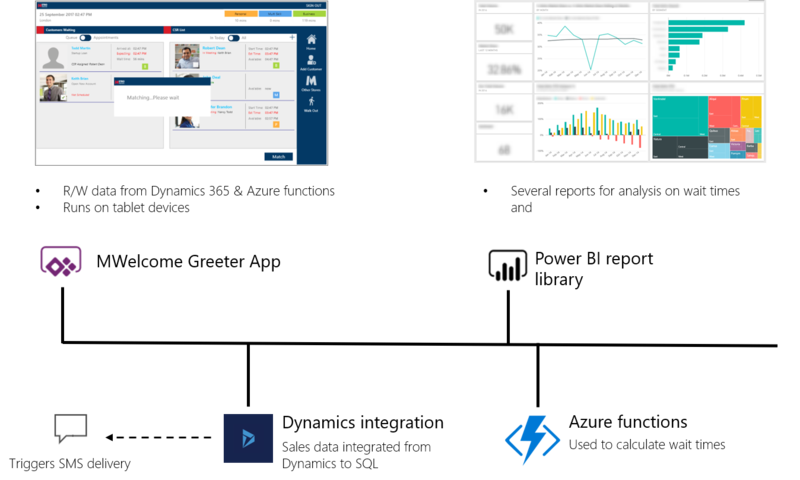 In this blog post we take a deeper look at the PowerApps solution that has been deployed across all their stores since December 2017. You can watch a presentation and live demo of the application at the PowerApps general session at Ignite. 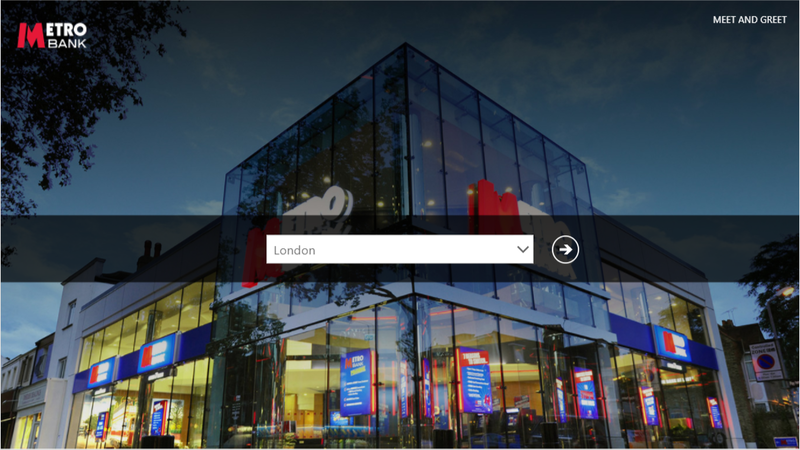 Metro Bank wanted to differentiate themselves by providing a high quality in-store welcome experience for customers. A key objective was – “if a customer walks in the door, let’s solve their problem today.” This VIP customer service differentiated them from other banks, some of which required appointments to be booked weeks in advance. They envisioned a scenario where a customer was welcomed by a greeter with an app on a tablet device. The app would help determine with high accuracy the estimated wait time, and pair up the customer with the appropriate representative. The customer could then wait inside the store or leave and be notified via a text message 10 minutes before their appointment. The historical data created by the app would help train their wait time estimation models, further increasing the accuracy of those estimates, leading to a better store visit experience. Prior to the Power Platform implementation, the greeter at the bank used a paper clipboard to write down customers names. They had to go back to their desk if they needed to look up customer info in their CRM system. This was not a great customer experience. Moreover, they were unable to accurately predict how quickly a customer could be served as they did not have any data to analyze customer traffic patterns and adapt their staffing accordingly. They developed a PowerApps tablet app that is used by greeters in the bank to welcome customers and ensure the best possible experience. The app first went live in April 2017 and has been in production and used daily in all 50+ stores since December 2017. PowerApps – The app allows the greeter to search for the customer, lookup who is waiting, what employees are available, and additional data such as when will the next customer service agent come back from lunch. The app can accurately predict wait times. The customer can choose to wait in the store or leave and be notified via a text message when the teller is available. They can also check wait times in other stores nearby or book an appointment for a following day. Customer service representatives (CSRs) also use the app to indicate their shift times and lunch breaks. Collectively, this results in a lot of valuable data being made available for analysis and insights. Power BI – Dashboards are used to gain insights such as average wait times per customer and per CSR. They have exact heatmaps showing stores, days of the week and times of day when they needed to staff up. 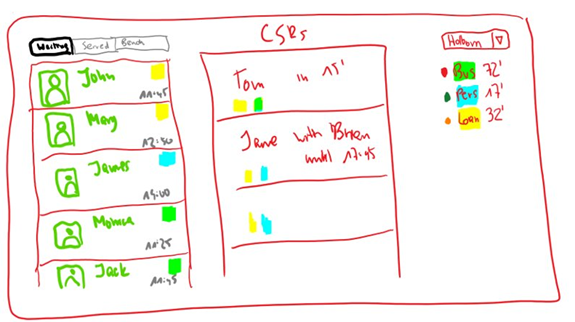 This was built into their existing Power BI dashboards. 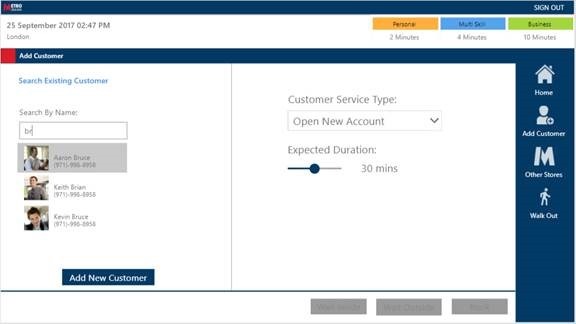 Dynamics 365 – The solution uses the Dynamics 365 connector to directly connect to the Metro Bank CRM system. All customer information is stored here. Azure functions – Used to calculate wait times, down to one-minute of accuracy. This is an easier process for the greeters and tellers since they have all the information they need to help the customer through a task-based UI. For the first time they know the traffic in each store, down to a single customer need. If a customer complains they can look at the history and know exactly what happened. Metro Bank can fulfill the customer promise of providing credible wait times, and if it’s running longer they can let the customer know. 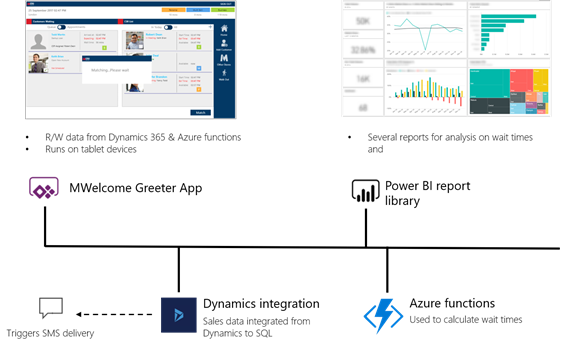 PowerApps being an extension to Dynamics 365 meant that all the existing GDPR and security processes that were already being handled were instantly applicable to the solution. 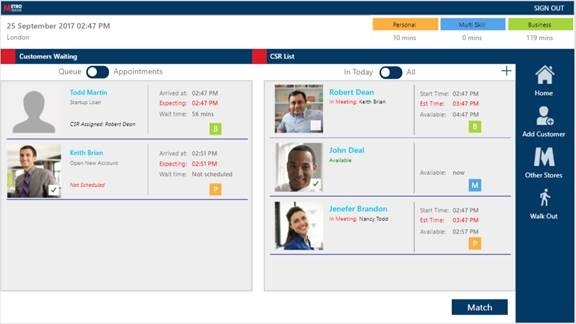 The app uses Dynamics 365 Customer Engagement for storing information about queued customers (linked to Contact entity), employee shift patterns (linked to System Users). 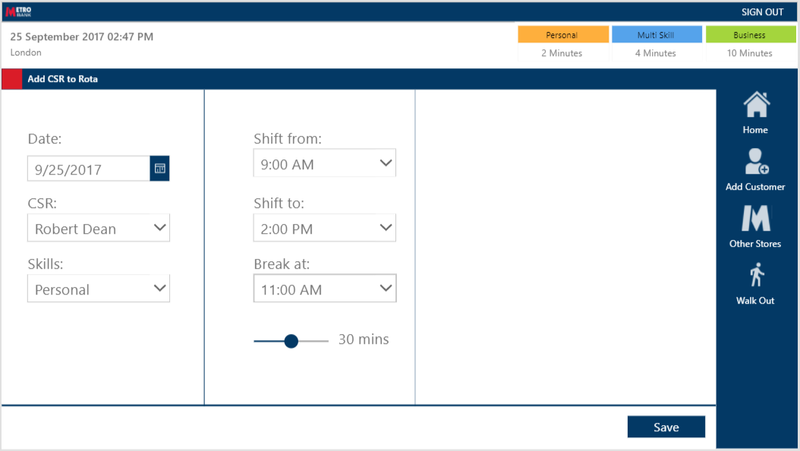 An Azure Function is used to read this information every minute and simulate the customer handling according to preset rules. The output is the estimated current wait time as well as a per-customer forecast on when each person waiting will be served. 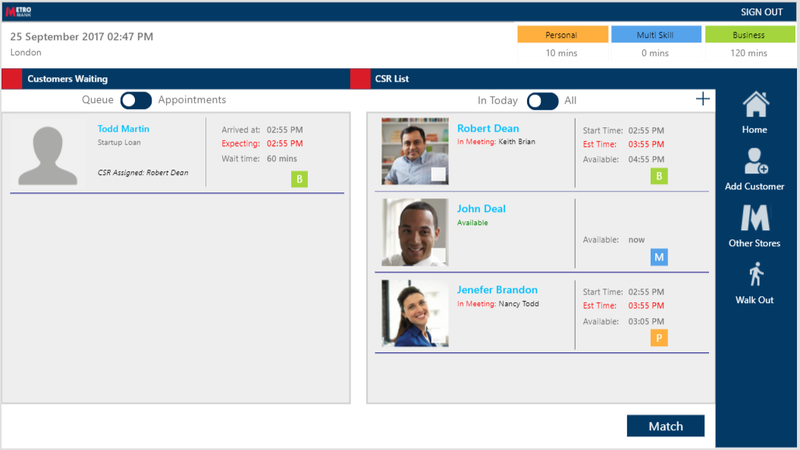 A PowerApps Canvas app maintains the queue and service representative availability data, enabling actions such as matching customer with a service representative, and presenting the wait time forecast for any new customer walking into the store. It took four weeks to develop the first version and was deployed to the first store in two months. The app has now been live in all stores since December 2017.